- FrancesCassandra: UK fashion, beauty and lifestyle blog. 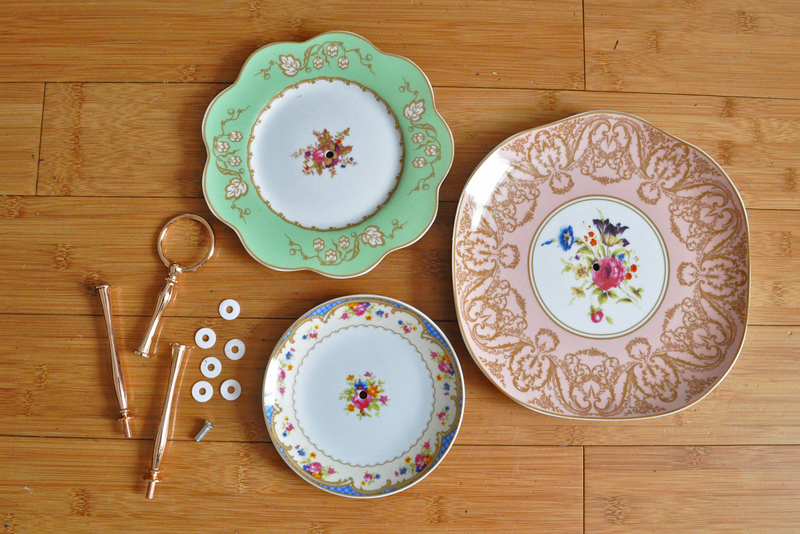 : Review: Out There Interiors Vintage Cake Stand. It was a while ago (nearly a year ago, in fact! 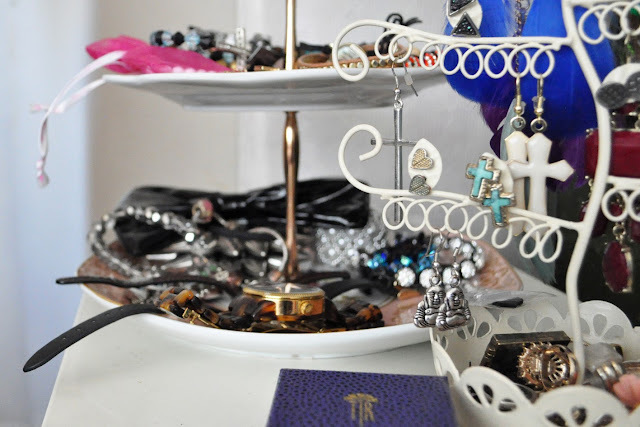 ), but some of you may remember me starting a mini series on my jewellery collection and storage. 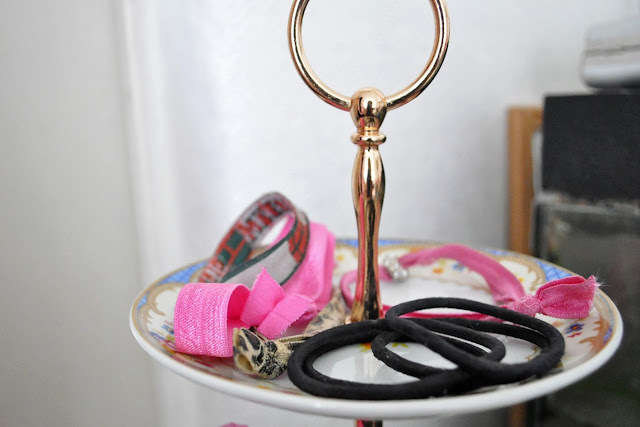 I showed you how I keep my rings, earrings and necklaces together but I never got round to showing you my bracelets as, to be honest, they were always just flung across my desk, and that wouldn't have made for a very good blog post. 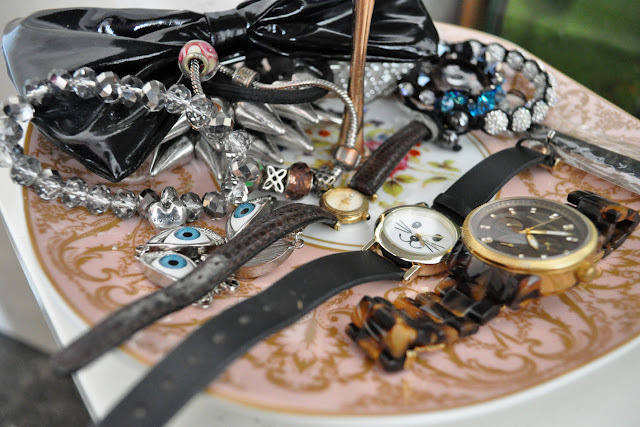 I had always liked the idea of having a pretty china dish to keep my bracelets in, but I could never find one that really stood out to me in charity or vintage shops. 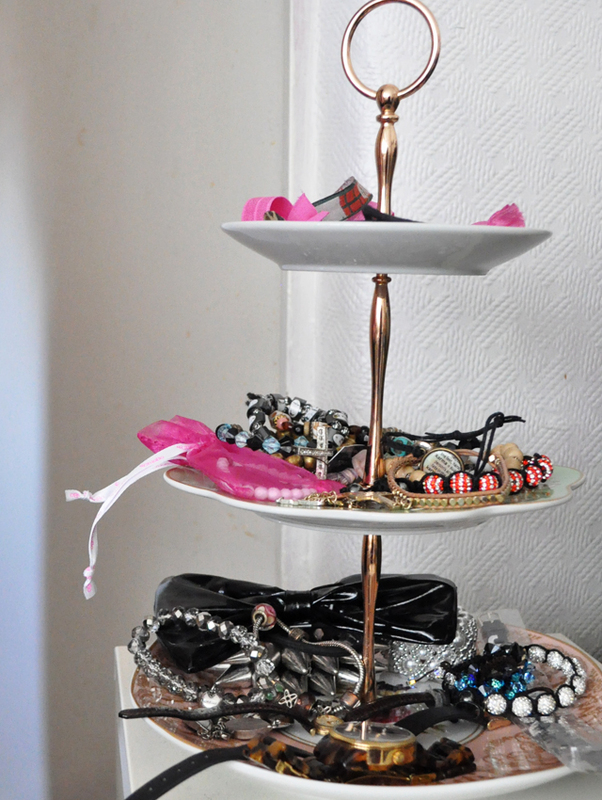 However, whilst browsing online at the stunning furniture on Out There Interiors, I spotted this cute little cake stand and I thought it was perfect! It is made up of three antique-style porcelain plates, each donning its own pretty floral design, suspended on a sturdy rose-gold support which makes the stand appear a lot more expensive than it actually is. After some stellar handy man skills on my part (okay, the assembly really wasn't difficult- you just have to screw all the parts together, no extra tools required!) it was all ready to go! I quite like the look of having my bracelets all thrown on to the plates with no specific organisation, but I keep my watches, chunkier bracelets and my most worn ones on the large bottom tier for ease of access, my smaller/beaded bracelets on the middle tier and the top tier is home to my hair bands which I vow will never go missing again (first world girl problems, eh?)! 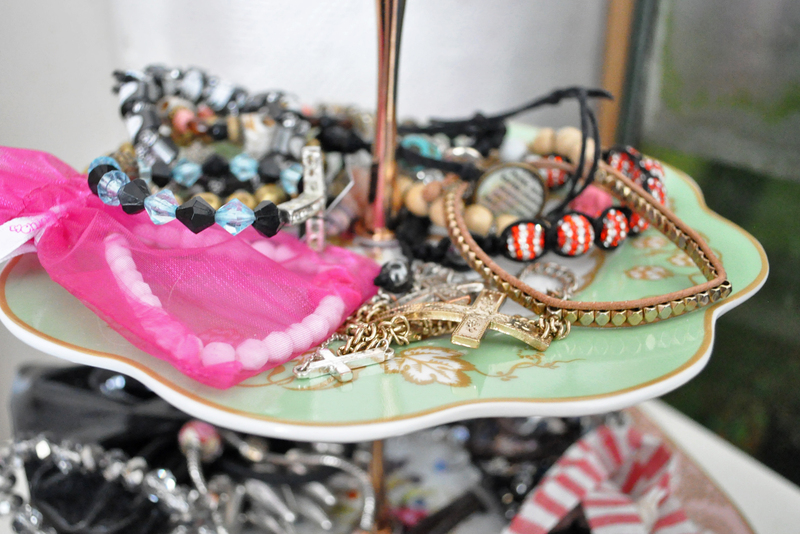 I think it makes such a pretty display on my little cabinet stood next to my shabby chic jewellery tree. Out There Interiors not only stocks lots of quirky little home deco pieces like this (a lot of which I have fallen in love with; they've broadened my dream of moving in to my own cosy little place so that I can decorate to my heart's content), but also a huge range of gorgeous French furniture including cabinets, beds, wardrobes and coffee tables. 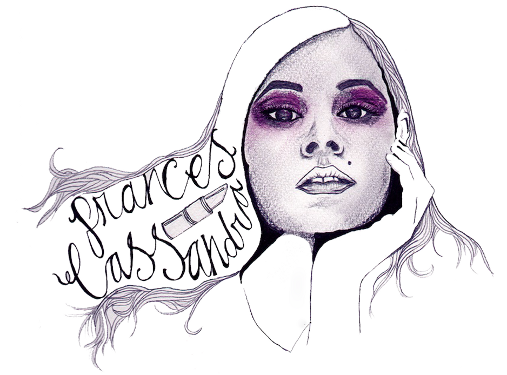 It's a fabulous website, and you can check it out here.